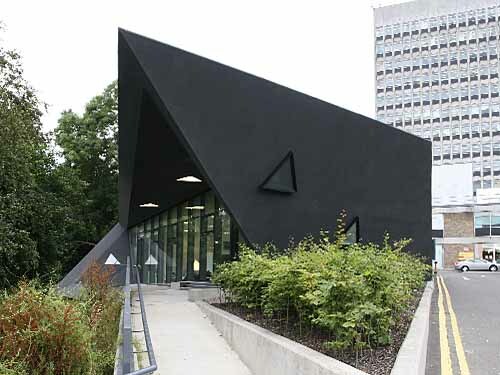 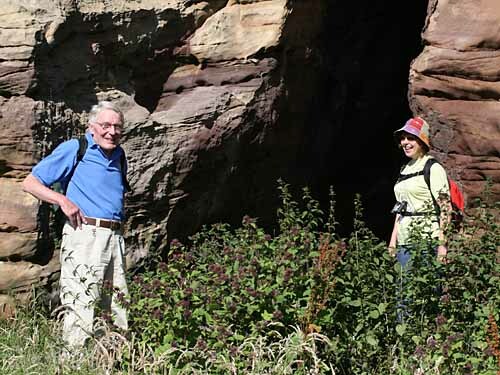 Lots of photos – apologies to those with a slow internet connection! 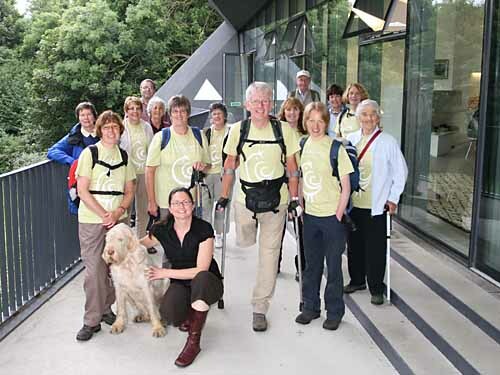 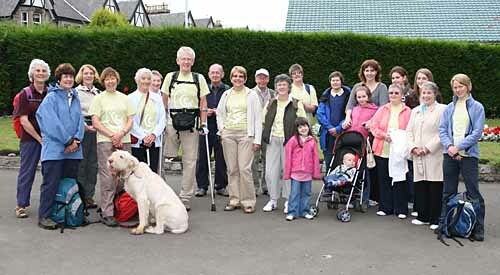 Dr Bob with his fellow walkers and some well-wishers outside the Maggie’s Centre at Ninewells Hospital, Dundee just before setting off on Day 1 of the walk. 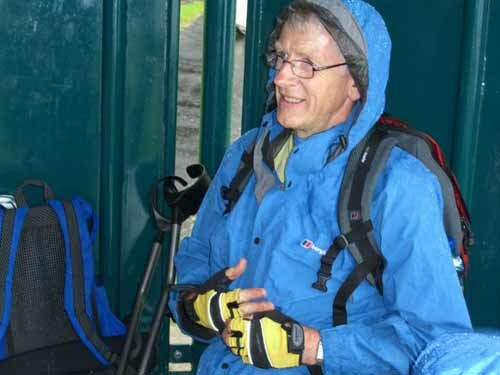 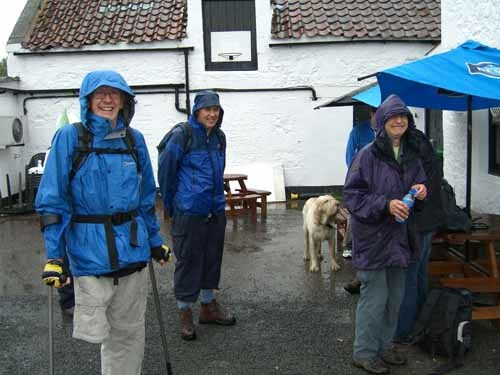 Leuchars – all a bit wet ………..
but Dr Bob is still smiling ! 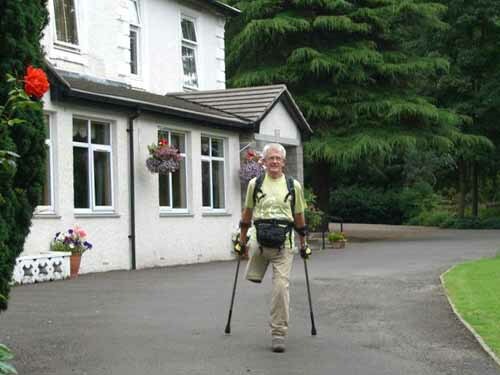 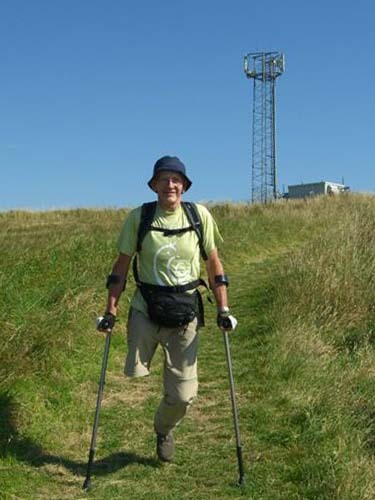 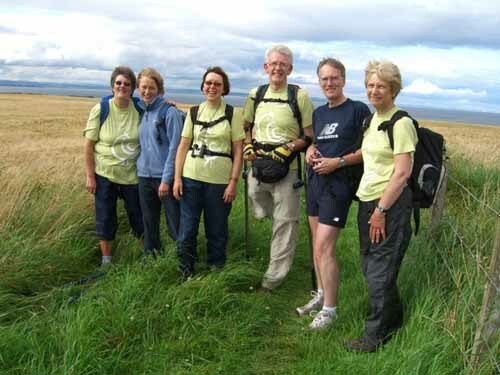 Day 4 (Tuesday) – Setting out from Boarhills. 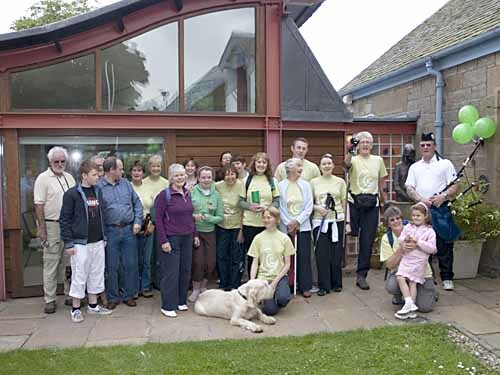 Morven Duncan, John Wilson, Bob’s brother Ian and his wife Ada (from Elgin), Lorna, Bob, his sister Linda (from Aberdeen), Alison Taylor and a fairly uninterested Mac! 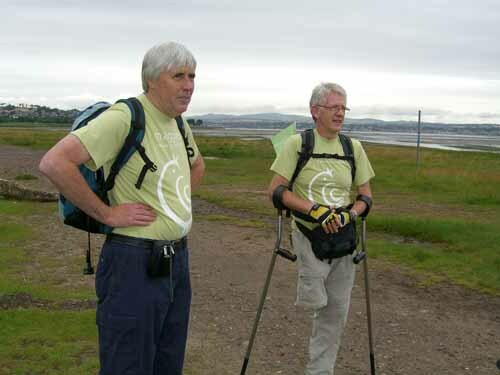 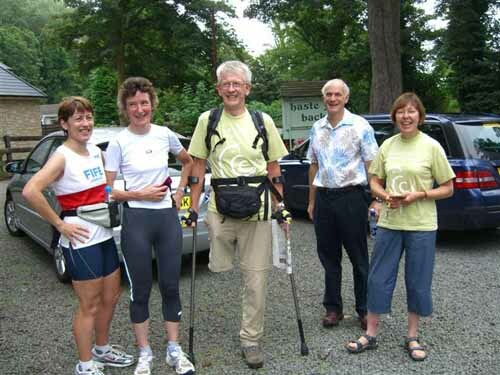 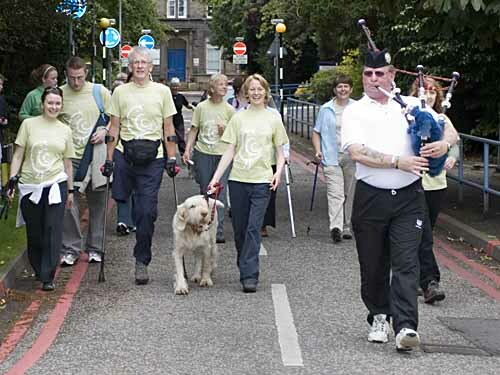 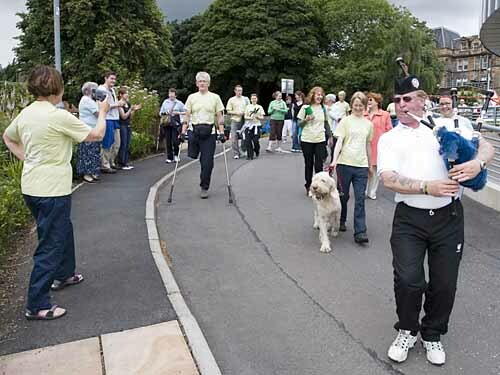 Dr Ed Wallace (far right) joins the walk at Fife Ness. 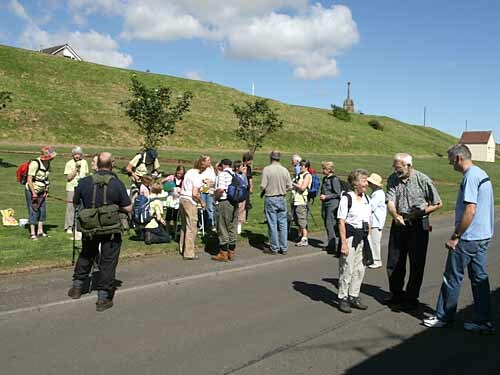 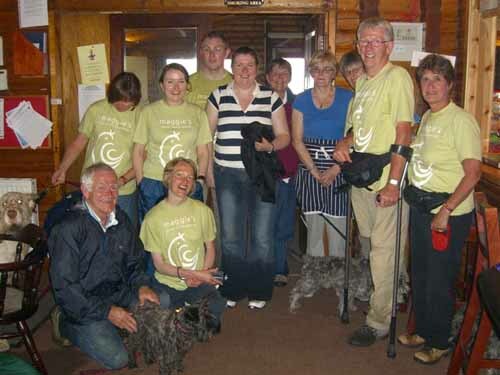 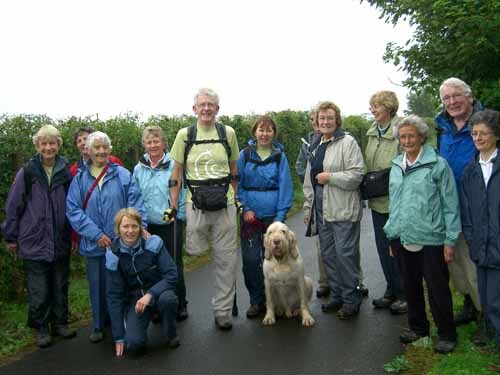 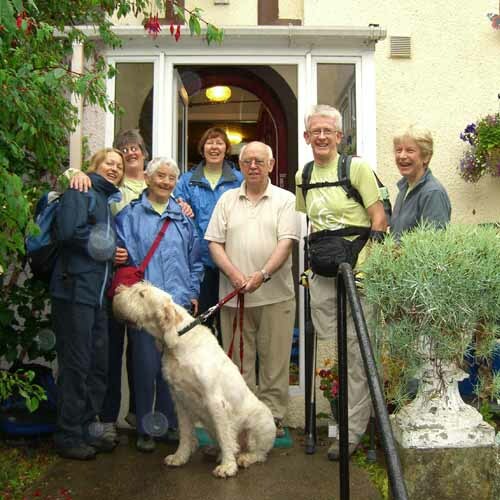 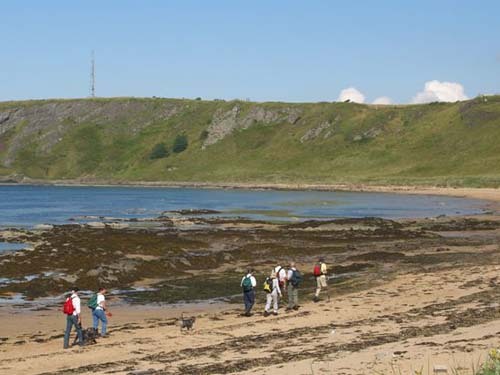 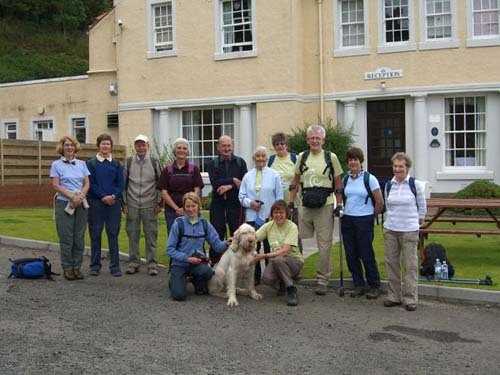 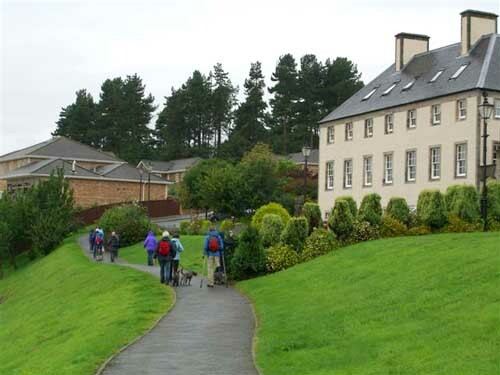 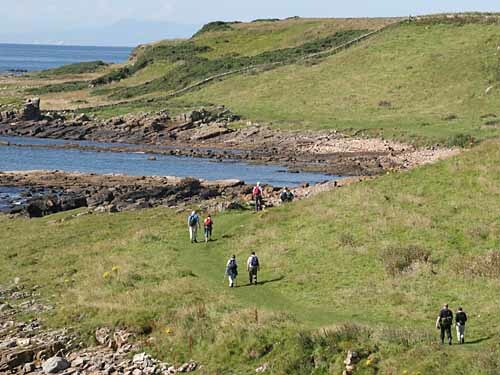 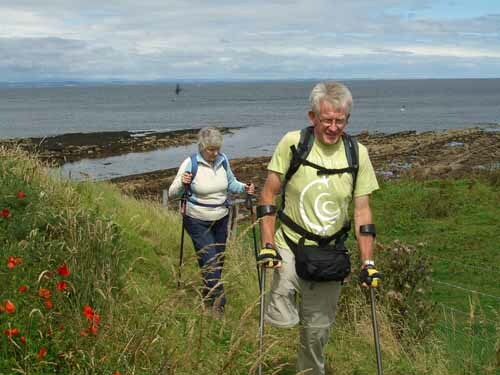 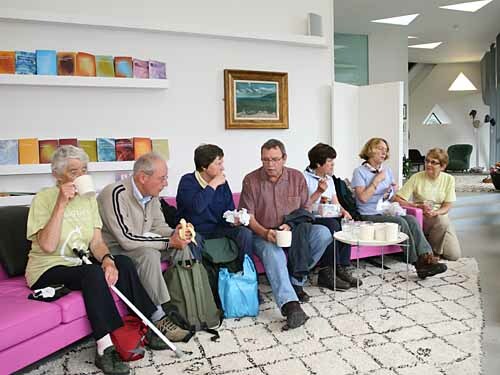 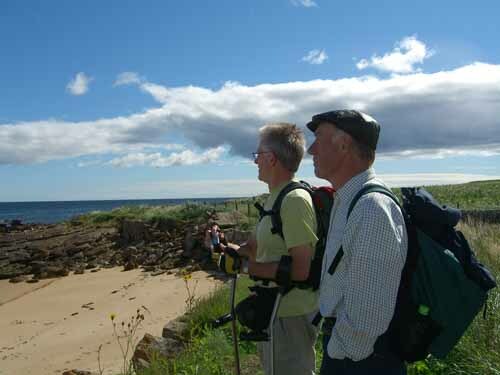 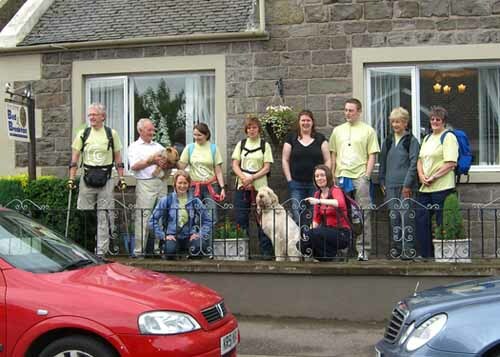 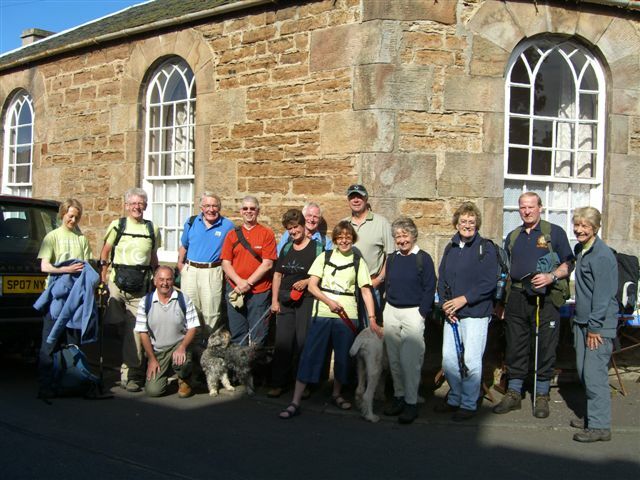 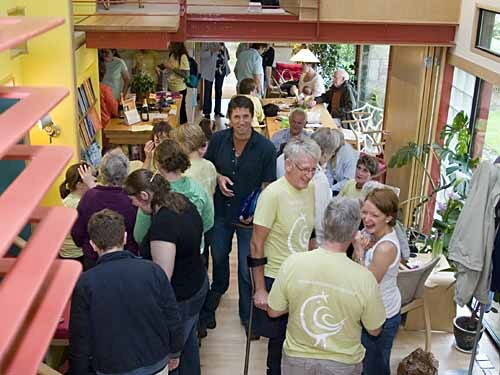 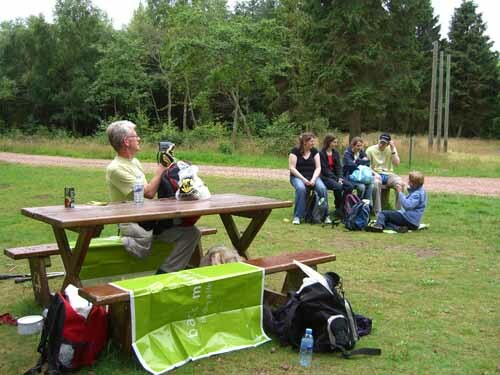 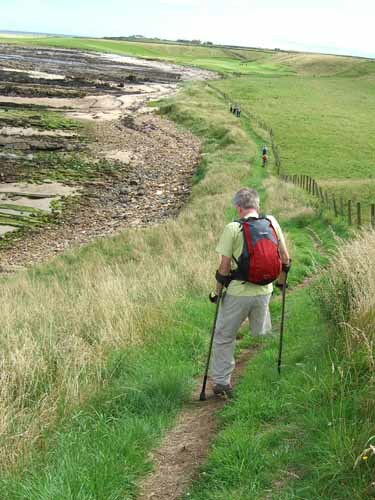 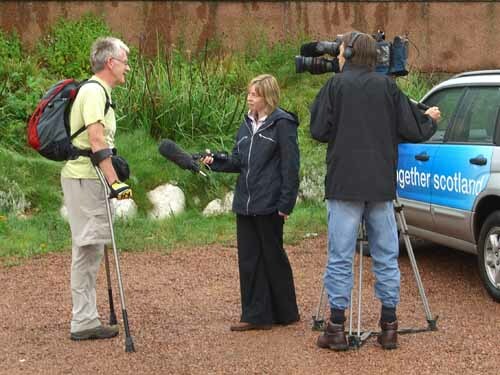 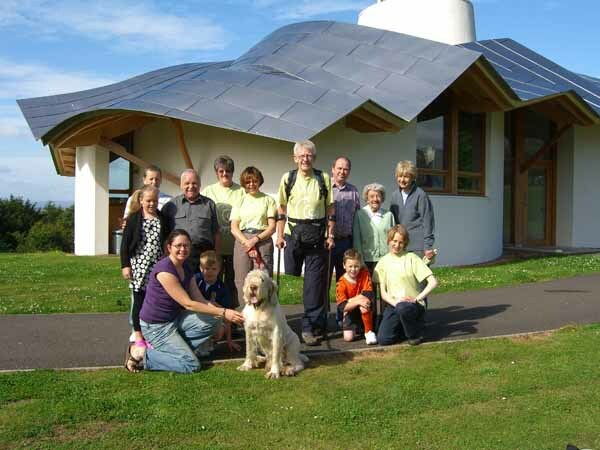 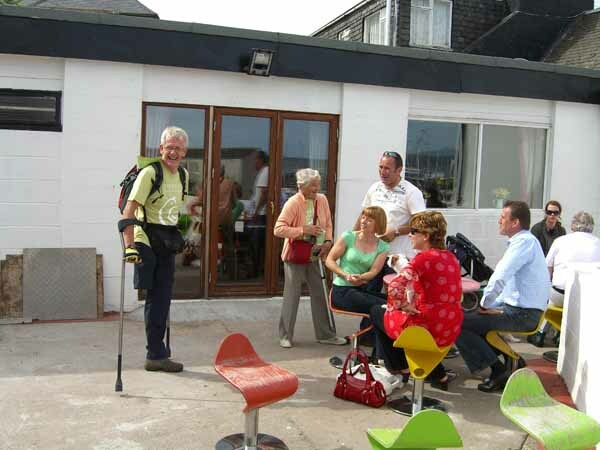 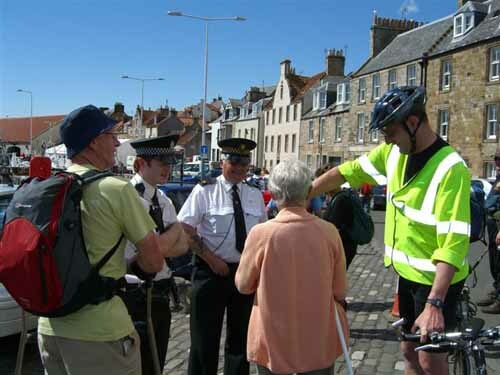 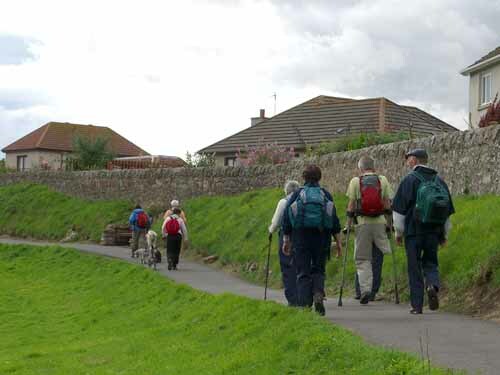 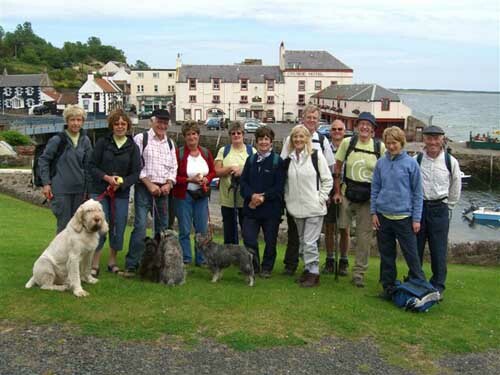 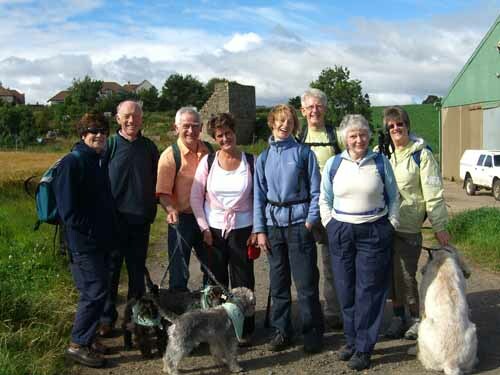 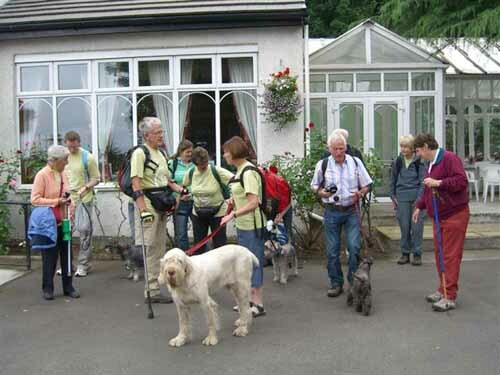 Day 5 (Wednesday) – the eager walkers gather at Crail for the off. 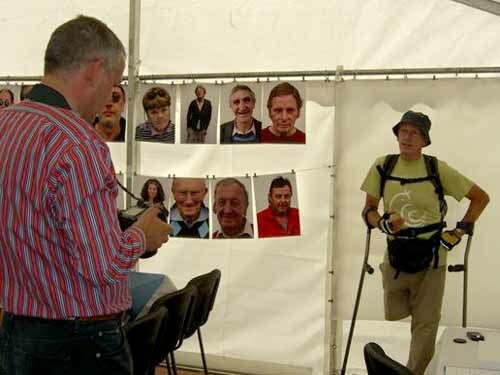 Some more new faces show up. 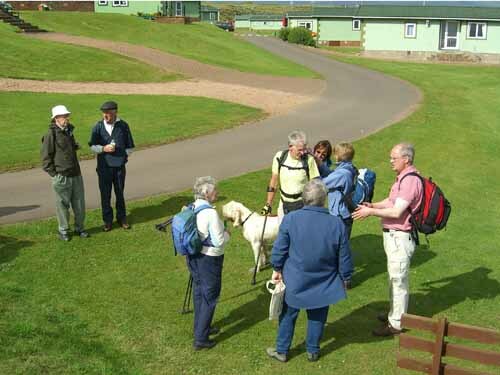 Cellardyke – The grandchildren of Margaret Braid’s friends served us with very welcome tea, scones, pancakes, tablet, cheese & biscuits and iced juice. 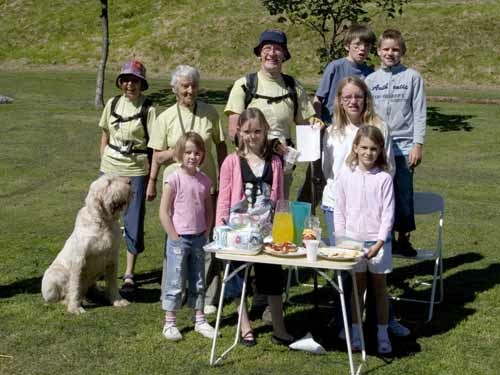 The children sold tablet and put on a concert for their friends. 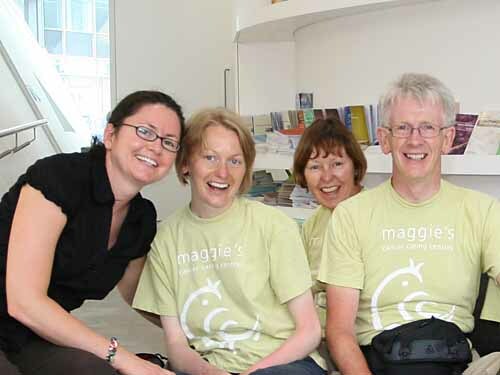 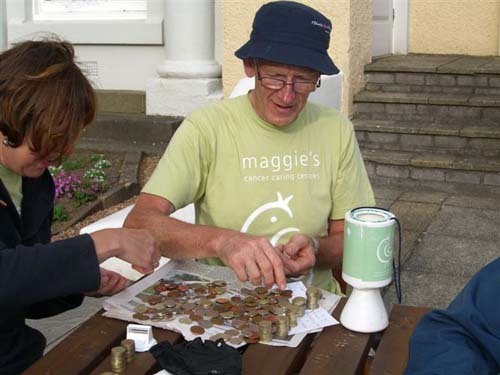 They collected £102 for Maggie’s which they presented to Bob. 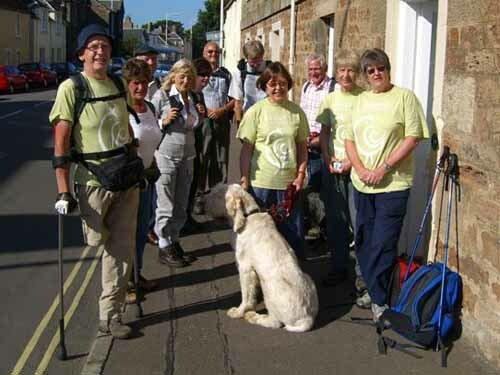 Collecting donations from the visitors in Anstruther. 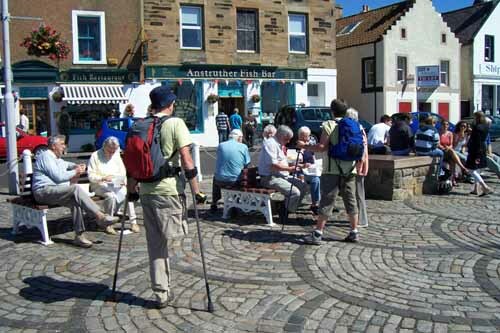 No time to stop off for one of the famous fish suppers though. 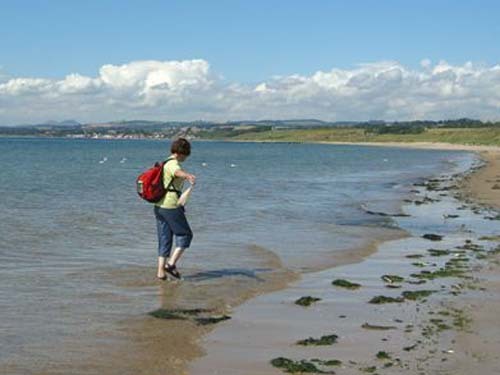 Joan goes for a paddle – she must think she is on her annual holiday ! 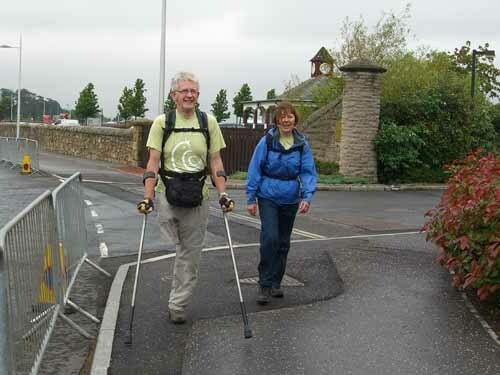 and didn’t stop! 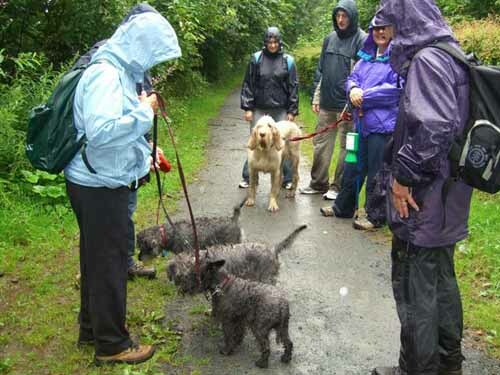 These are four very wet dogs. 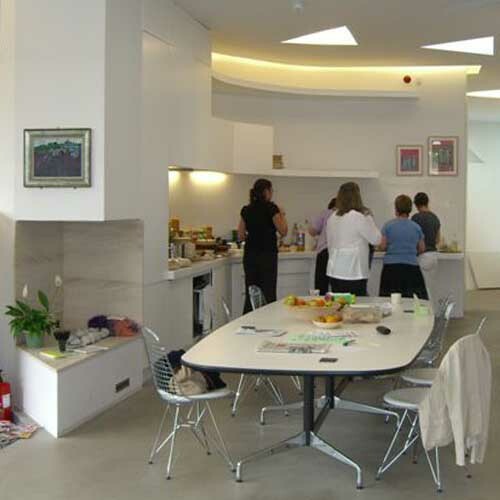 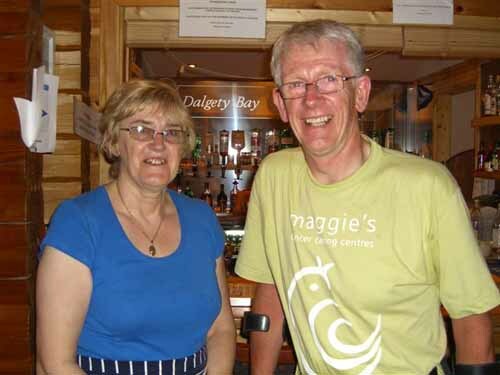 We were made very welcome at Dalgety Bay Sailing Club where we had our lunch break in the warm, dry clubhouse. 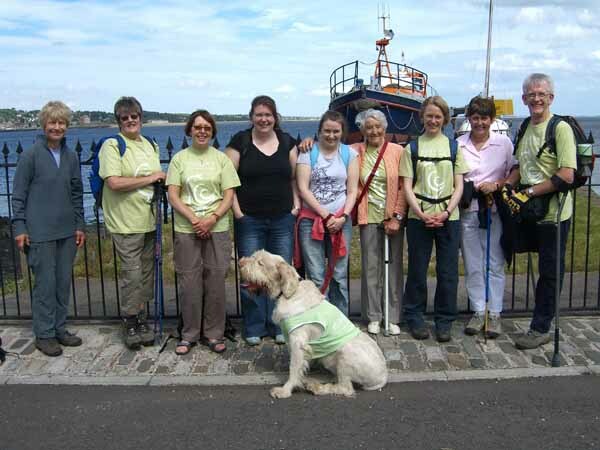 Continuing through Dalgety Bay to our overnight stop at North Queensferry. 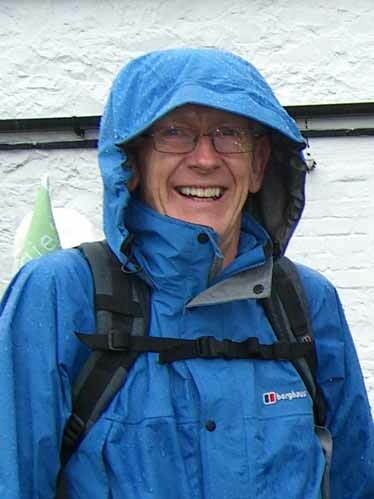 Only one more day to go!